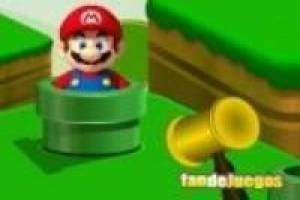 The classic game of hitting the moles comes in its online version and whose protagonist is Mario Bros. You' ll have to be very careful when your enemy leaves the pipe to hit him with the hammer and add points to your marker. You have to be careful because Mario Bros will also leave and you do not have to hit him, if you do you will lose points from your accumulated. 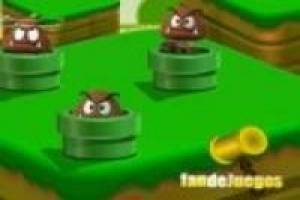 You must hit all the goombas and add points until you reach the level. Be quick so you do not run away and careful not to give the wrong character. Enjoy hammering your opponents and help Mario Bros to get rid of his usual rivals. 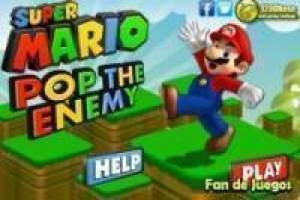 Enjoy the game Super Mario strikes enemies, it's free, it's one of our Mario bros games we've selected.